I’ve always been aware of the existence of the Onimusha games but I never bothered to check them out. I had no idea they were essentially Resident Evil games featuring Japanese swordsmen. Neat! That doesn’t necessarily entice me to try the game but it’s good to finally know what the franchise is all about. New Super Mario Bros. U did not grab me on the Wii U. I played a handful of levels but I grew tired of the New Super Mario Bros. aesthetic and just shelved the game for the time being. Six years later Nintendo is releasing an updated version for the Nintendo Switch and I’m considering revisiting the Wii U version. Maybe now I’ll learn to appreciate it? I don’t make many recommendations on this here site but Astrobot: Rescue Mission deserves your attention. If you are looking for one of the best games of 2018 and own a PlayStation 4, do yourself a favour and pick up the PlayStation VR Astrobot + Moss Bundle for $249.99 ($130 off). It’s a fantastic game. 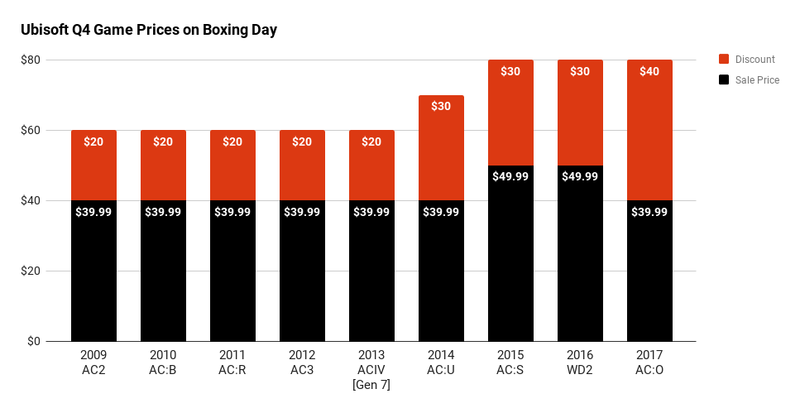 Boxing Day isn’t what it once was; you’re going to see a lot of repeats from a month earlier. It’s best to view next Wednesday an encore of Black Friday with a spritz or two of new deals. 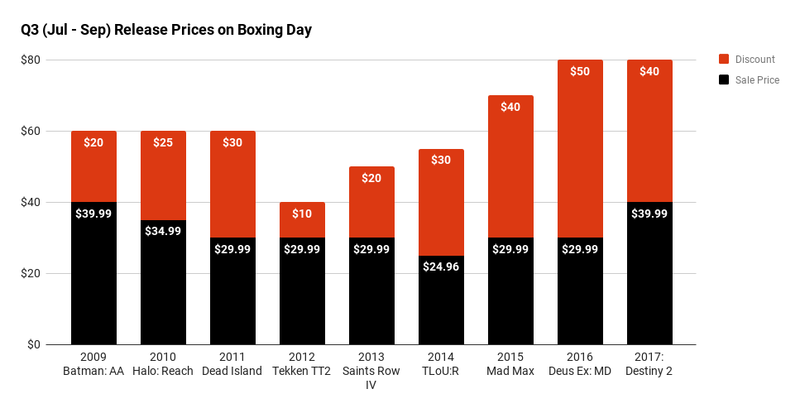 2017’s Boxing Day went pretty much as expected. 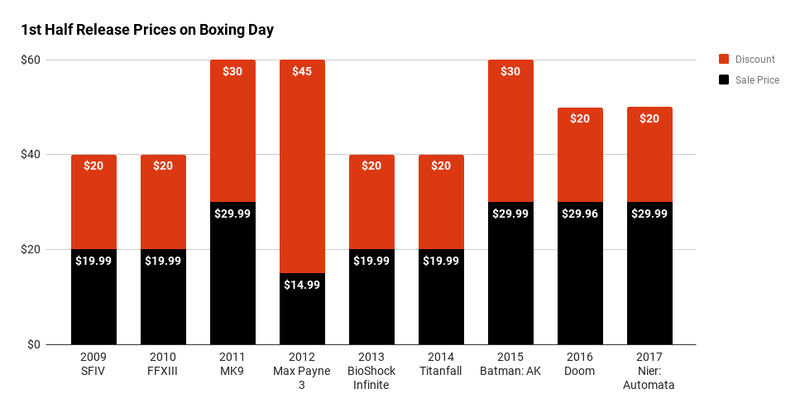 If you were patient, you were able to nab some of the best games of the year on some steep discounts. 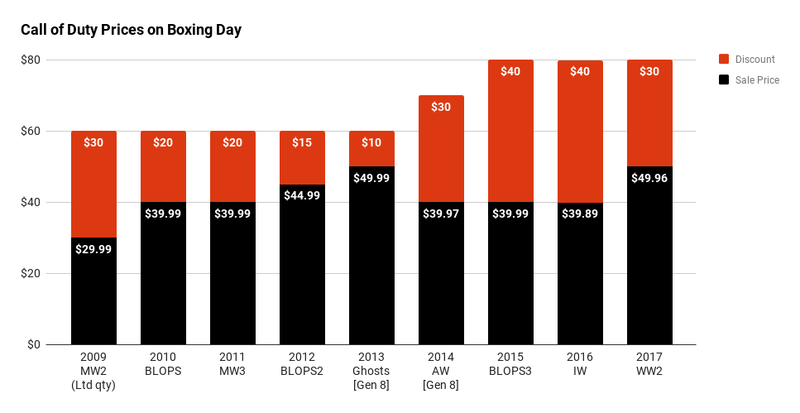 The long streak of finding the most recent Call of Duty title for 50% off ended in 2017 with Call of Duty: WW2 coming in at $50 across all retailers. Assassin’s Creed returned in 2017 with Origins. The $39.99 price tag also returned giving the game a 50% discount within 2 month’s time. Nier: Automata for $30? I’m sure this was a popular pick up last year. It wasn’t surprising to see Destiny 2 and Wolfenstein: The New Colossus receive 50% off discounts. 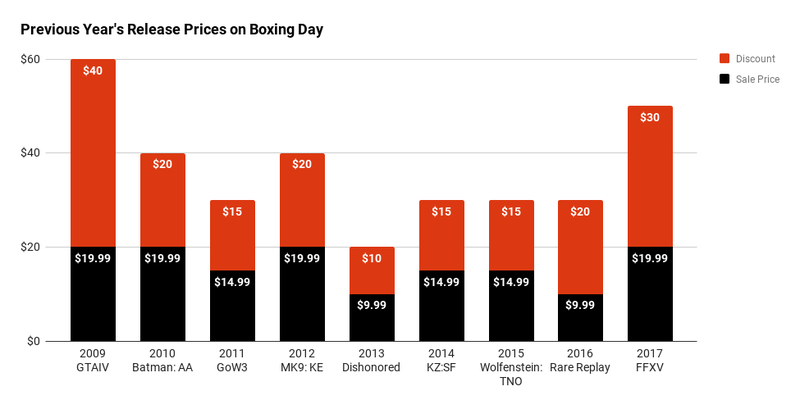 The Destiny franchise have always been historically quick to discount and the same goes with Bethesda published titles. 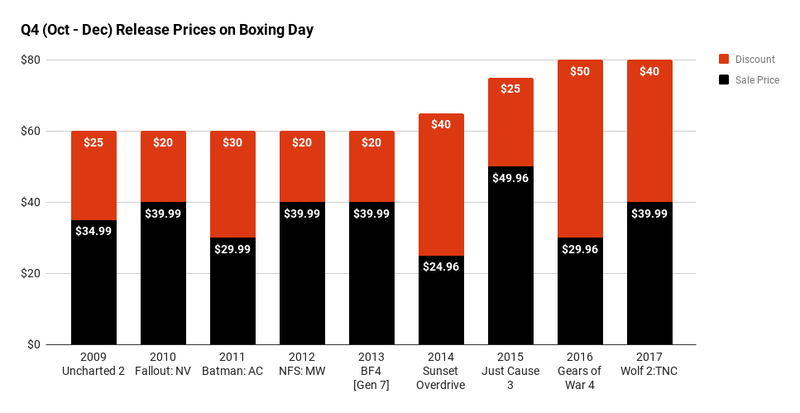 What Will Boxing Day 2018 Look Like? A repeat Black Friday pricing for Electronic Arts and Bethesda’s lineup of games. Katamari Damacy is an absolute treat for me. But like all treats, I can only take so much before I have to put it down and take a bit of a break. The launch of Katamari Damacy Reroll reminded me that I own a copy of Katamari Forever for the PlayStation 3. I recall starting that game but didn’t finish it. I don’t know when I’ll get back to that version of Katamari but the idea of having a quality portable Switch version of Katamari Damacy is awfully tempting.